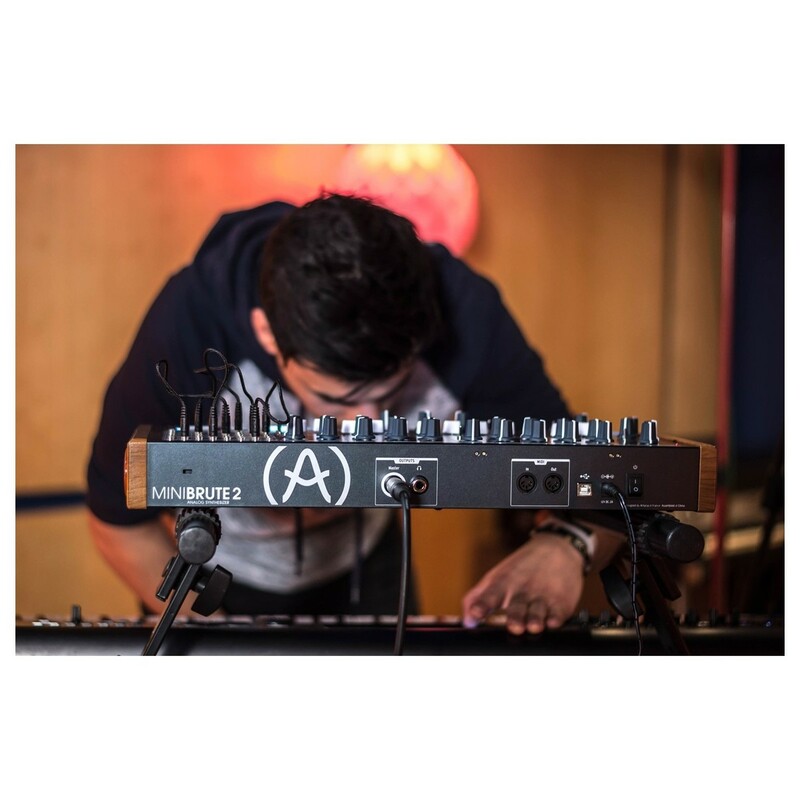 The Arturia MiniBrute 2 Semi-Modular Analog Synthesizer is the successor of the MiniBrute, offering more Brute power than ever before. 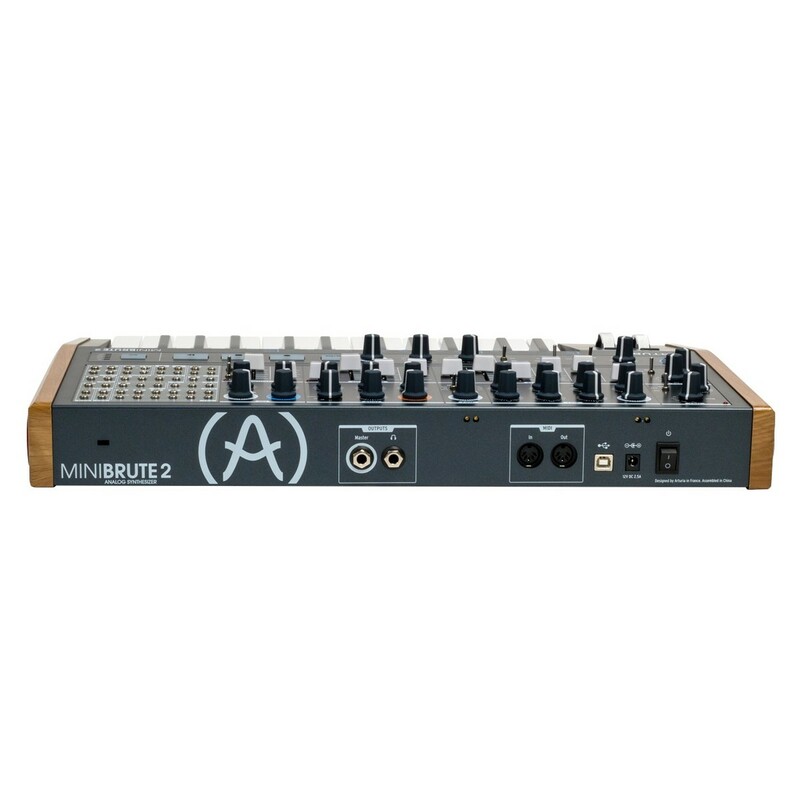 The MiniBrute 2 produces a huge analog tone, featuring two chunky oscillators that provide the core for sound shaping. 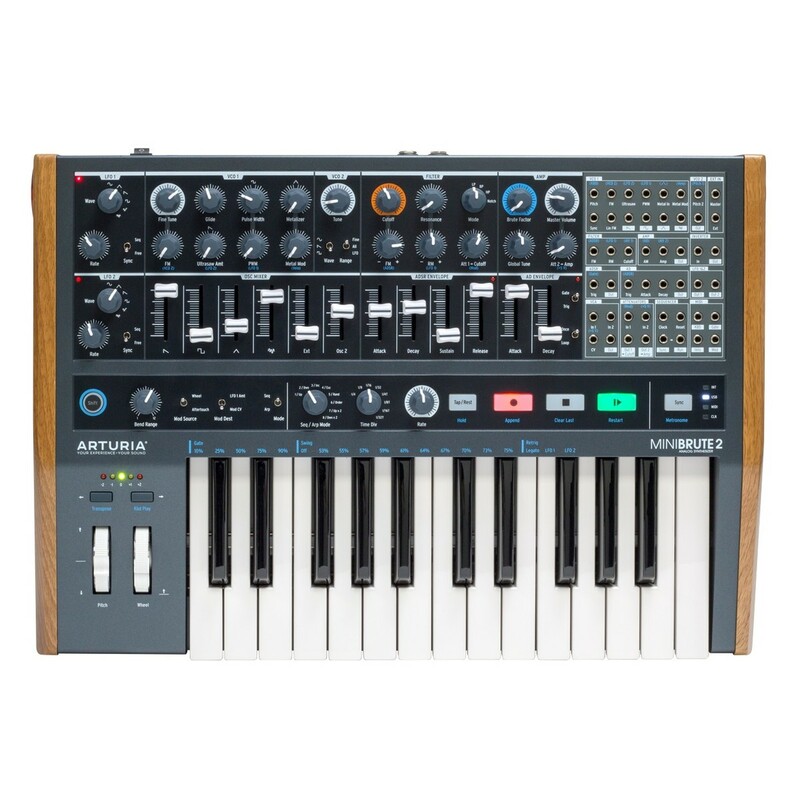 The Arturia MiniBrute 2 offers a beefy multimode filter, ADSR envelope generator, and (you guessed it), the Brute Factor. Drill your sounds with force, adding subtle drive distortion or complete havoc using the Brute Factor. The integrated step-sequencer and arpeggiator make rhythmic creation a breeze, whilst the new modulation matrix unlocks a range of performance possibilities. Additionally, the MiniBrute 2 now features an aftertouch-enabled keybed, making it a joy to play. 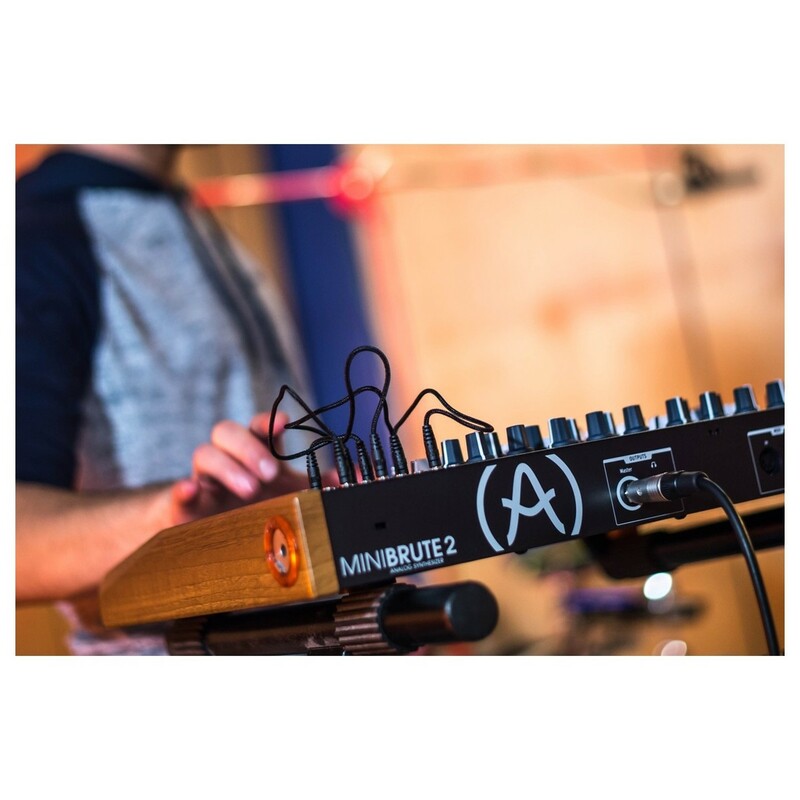 The MiniBrute 2 enables you to discover the modular world. It provides you with a 48-point modulation matrix that allows you to unlock a new world of possibilities. The comprehensive CV Gate modulation matrix provides you with a whole range of sources and destinations for experimenting with the internal parameters, wiring in your modular setup, or syncing your external equipment with the internal sequencer. This is definitely one for the modular eurorack users. 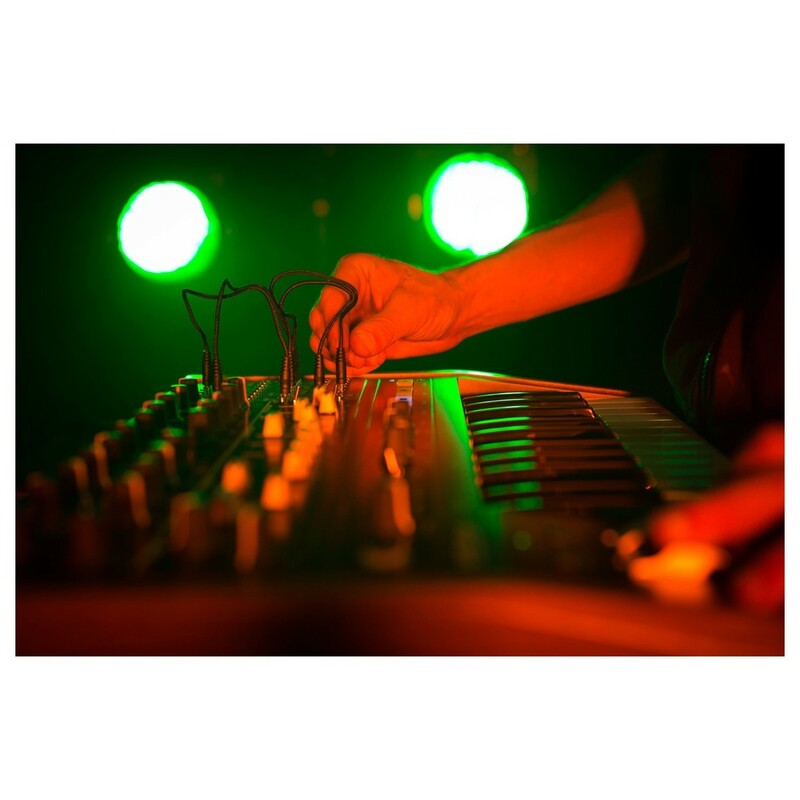 The MiniBrute 2 provides you with endless hours of enjoyment. 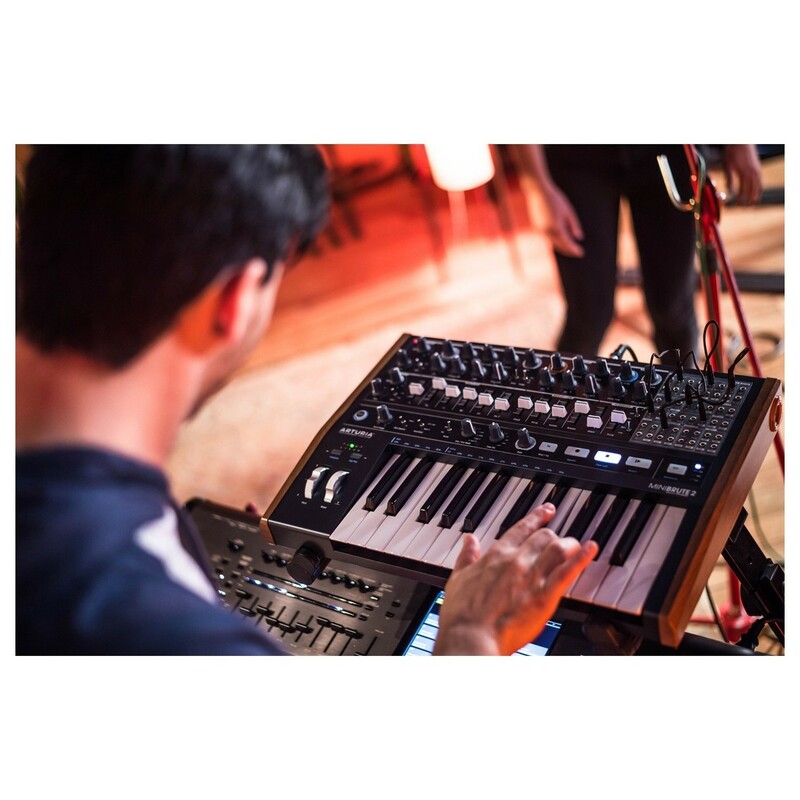 With instant, hands-on control for every parameter, the MiniBrute 2 will have you amazed at its sound creation possibilities and intuitive functions. It is easy to use, and will have you creating powerful sounds in an instant. Quickly whack up a sequence, and then mix your oscillators, ride your filters, tweak your LFOs, and switch up your envelopes all at once whilst playing. 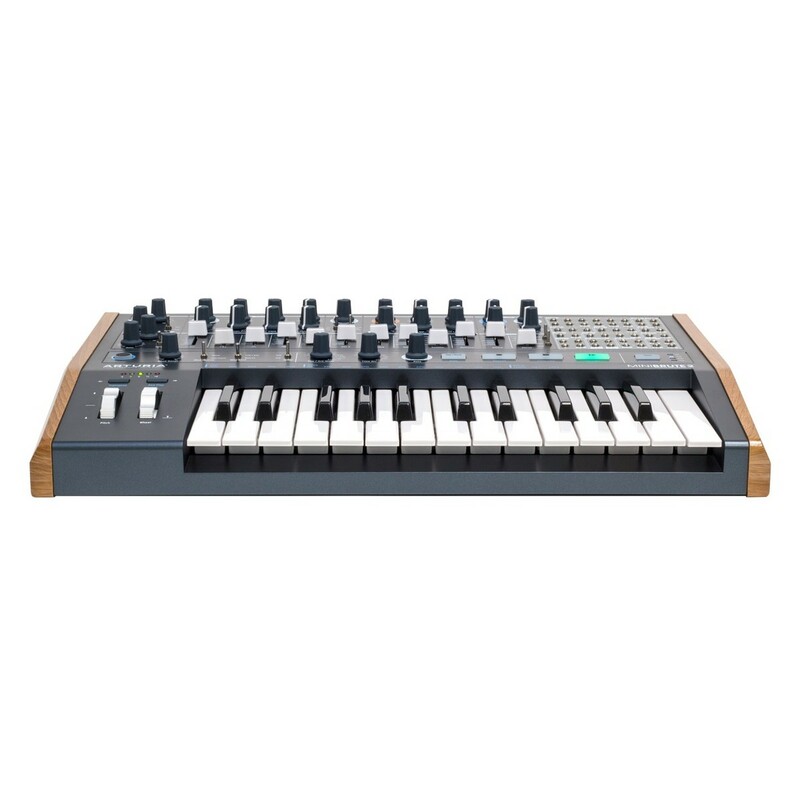 The MiniBrute 2 offers a unique, affordable analog synth experience. 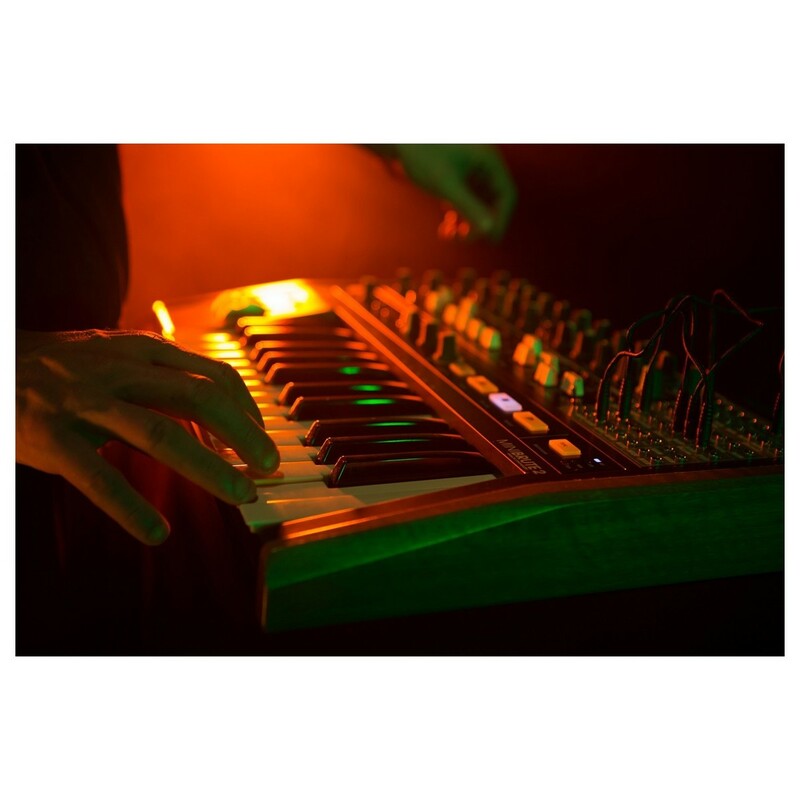 The MiniBrute 2 provides you with a 25-note, smooth-action keyboard, allowing for a seamless playing experience. The keyboard also features aftertouch, a new feature for the MiniBrute 2. 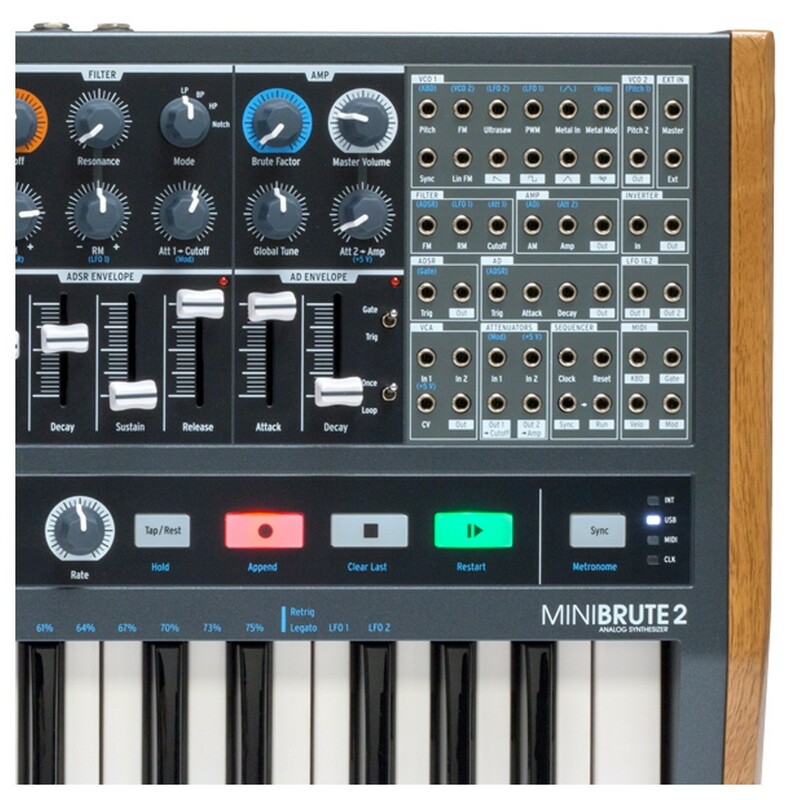 The MiniBrute 2 features an intuitive step-sequencer and arpeggiator that makes rhythmic creation easy. The arpeggiator offers multiple modes, tap tempo, and sync, whilst the step-sequencer gives you an unlimited amount of creative freedom. Create a sequence and then tweak on-the-fly to create a continually evolving live performance.